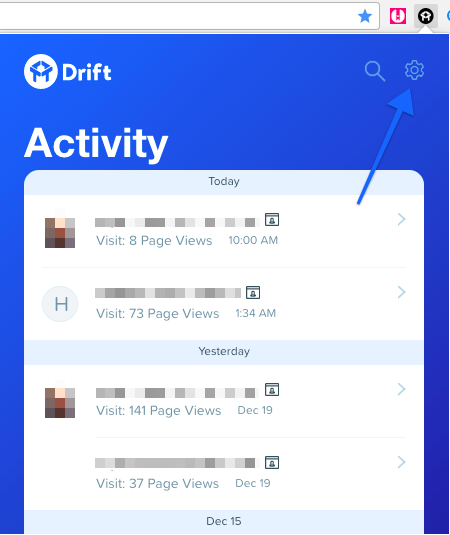 Our extension empowers you to have real-time conversations with the people you've emailed while they're on your website, and there's the added bonus that it tracks the number of email opens, clicks, and page views. 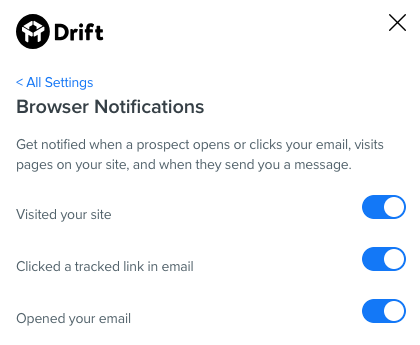 The Drift Extension is available for your Google Chrome Browser when using Gmail. You can download the extension from the Google Chrome Store. Now, that you've set up the extension, when you send an email to a user, you'll see a 'Tracking is ON' button. You will need to make sure it's not off for the tracking to work. When they arrive at your site, they will be greeted by a personalized message with your face on it, and when they respond to the greeting, you'll be able to open the extension to click 'Reply' and chat away! You can only send it to one recipient at a time! From the Extension, you can monitor opens, page views, and clicks in real time. 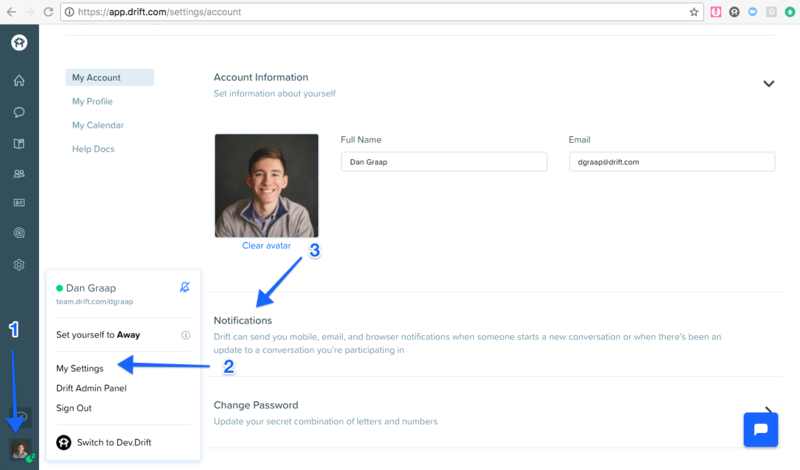 Here you can completely customize what types of notifications you get and who they're about. You can also choose to ignore the activity from certain domains. 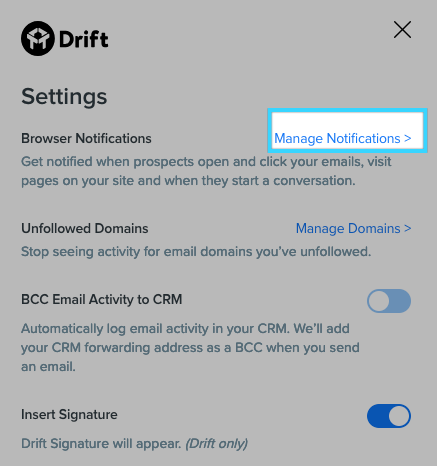 Don't want to know when your coworker clicks an email you sent out with Drift? Just put in your email domain and you won't be bothered with the notification! Muting notifications from a domain or particular user will prevent them from showing up in our slider notifications on the top of the screen. However, all activity will still show up in your Activity view. You also have the option to mute notifications from a specific user or from anyone from a certain domain right in the Activity view. 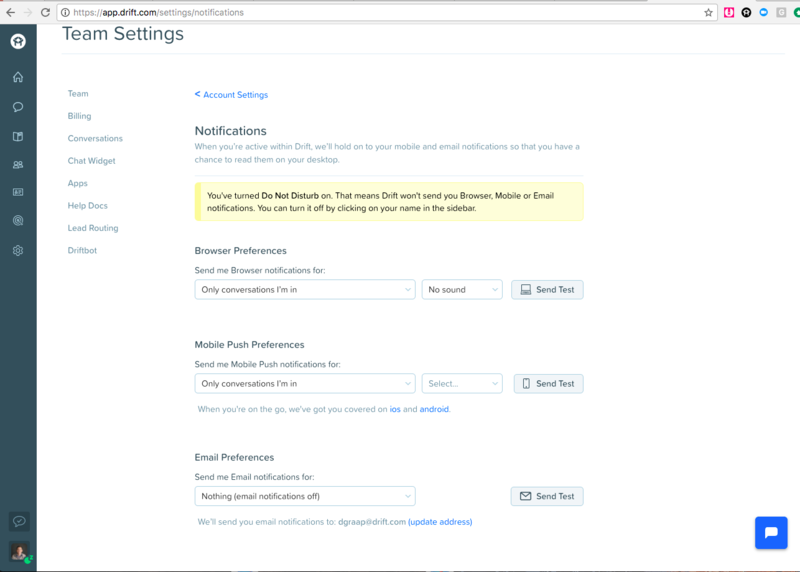 Your browser notifications for Email Tracking are separate from the browser notifications for messages. 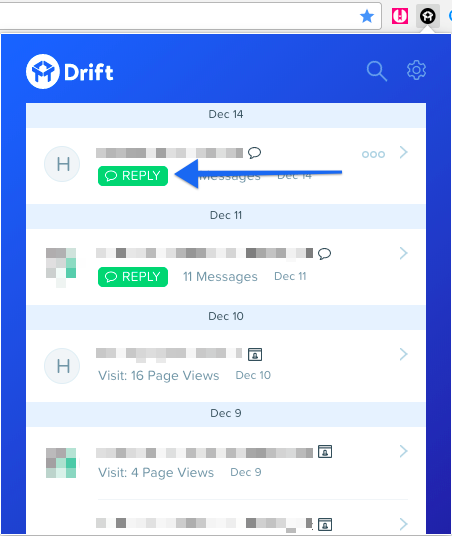 You will have to turn your Drift notifications on for notifications around those messages. In this tab, you can set notifications to appear for all conversations, those you're in or that have no participant, only those that you're in, or none. You can automatically send email copies to your CRM to log activity. 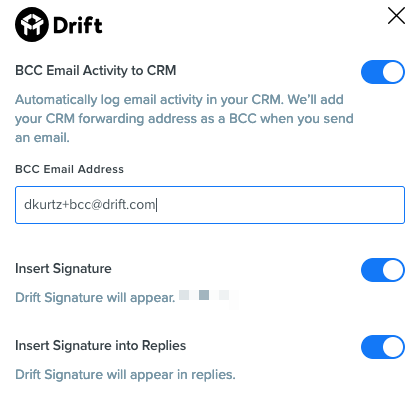 Drift will add the address to the BCC field every time so you don't have to! If you mute the domain you're sending from, we will not add the BCC email. Is your Welcome Message not appearing on your site? Do you have your 'Greet Outbound Prospects You Emailed" playbook set up? The playbook will target all reps with the extension by default. 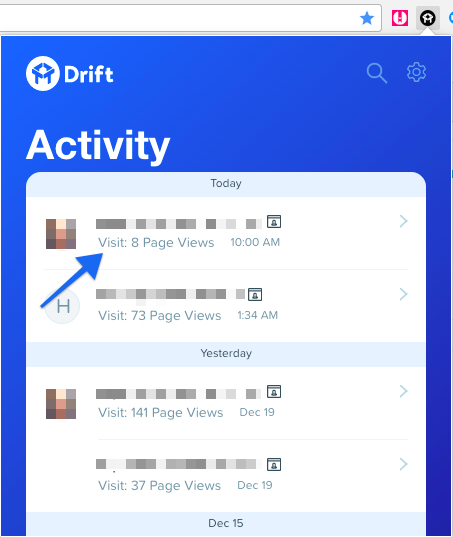 If someone has already been identified in Drift, and you open the link from Drift in that browser, then it will maintain their old identity and will not rewrite it. Try opening it up in an incognito window. It should bypass this now! Select the option "Manage Extensions"
You should see a new tool bar appear with the option "Update" - Click that and you are good to go!